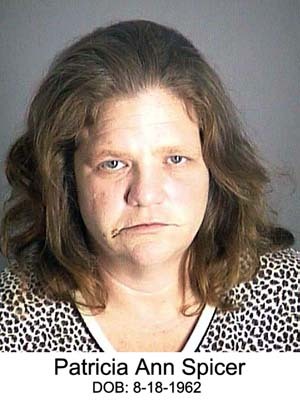 FLORIDA -- Patricia Ann Spicer (DOB: 8-18-1962) was arrested on April 30, 2006 by the Pasco County (FL) Sheriff's Office and charged with animal cruelty. I couldn't find anything else out about her case. If you know, please post below. GEORGIA -- An elderly woman was viciously attacked by two pit bulls Thursday morning in front of her home in Lawrenceville. The 64-year-old victim was outside mowing her front yard when she said she saw the pit bulls. Though she had seen them around the neighborhood before, they had never before tried to attack her, said Darren Moloney, spokesman for Gwinnett County Police Department. They sprang on her, causing several puncture wounds to her arm. She escaped and ran into her house in the Westchester Commons Subdivision. While she was calling 911, she noticed the pit bulls were still outside on her front yard, apparently waiting for her. When they arrived on the scene, police officers conducted a search on foot for the pit bulls. The dogs attacked the officers after they stopped at a fence. The officers had no choice but to use their handguns on the pit bulls, Moloney said. The dogs repeatedly retreated, then went back to attack the officers. They lunged at them three times. To try to stop them, the officers discharged eleven rounds on them. One of the pit bulls had run away by the time Animal Control arrived. Members of the fire department, police department and Animal Control had to work togther to find it. They finally captured the dog by using a chemical on it. Both dogs were immediately taken to the nearest animal hospital. One of the pit bulls was in such critical condition from the gunfire that it was immediately put down. After talking to the owner, 27-year-old Ken Brian Balajadia, they also put down his other dog. Janet Chevalier, who lives on Paris Street, said she was unaware that pit bulls were running loose in the neighborhood until she learned of the attack. "She was out mowing her grass and next thing I know there is all these police vehicles in the neighborhood," Chevalier said. "We walk by her house every night. From now on I'm carrying a stick." The victim was taken to the Gwinnett Medical Center, where she was still being treated at press time Thursday. Animal Control issued eight citations against Balajadia, including two counts each for unrestrained animals, no tags/identification, public nuisance/vicious and attacking without provocation. NEW YORK -- Neighbors allege that a New York man who rehabilitates birds in his suburban backyard may be stealing people's cats and having them put to sleep. Richard DeSantis has been charged with taking his neighbor's cat to the animal shelter, falsely claiming ownership and having it put to sleep. 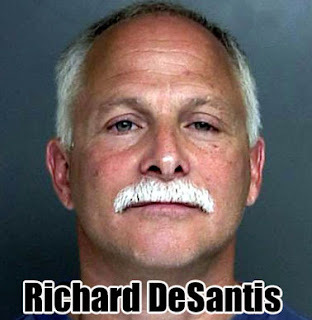 A spokeswoman for the town of Islip, which operates the shelter, said that DeSantis has been there before. "The shelter's records indicate that since 1995, this gentleman has brought in five cats to be euthanized," the unidentified spokeswoman told the New York Daily News. Regina Fagone pressed charges against DeSantis after she learned Saturday that her cat had been euthanized at the pound without her consent. 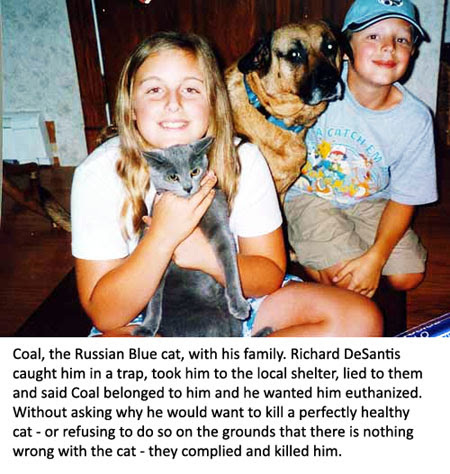 Fagone believes that two of the cats euthanized in the past were hers, both put down in 1998. She said that at the time she had just moved to the neighborhood, so she kept her mouth shut and ignored Fagone. GEORGIA -- A 57-year-old Snellville woman was jailed on animal cruelty charges after police discovered 22 dead cats and impounded dozens of other cats and dogs roaming around her property. Officers went to the home at 2673 Hewatt Road about noon Wednesday to investigate neighbors' complaints of a foul odor coming from the residence. Sylvia Simmons allegedly refused to allow them on the property, so investigators obtained a search warrant, said Detective D. Applebee of the Gwinnett County Police Department. Upon gaining access to the house, officers were greeted with a grisly scene, Applebee said. They found 19 cat carcasses and the skeletal remains of at least three others scattered about. Nineteen dogs and 25 cats - some indoors, some outside - roamed the property. Simmons also apparently had four flying squirrels and a chipmunk. A dead raccoon in a plastic bag was also found inside a freezer on the back porch. Investigators also found paperwork showing Simmons had recently adopted about 15 feral cats from a rescue agency. "Some of the Animal Control officers observed animals feeding on other dead cats," Applebee said. "A lot of them appeared emaciated. The veterinarian on scene was a forensic veterinarian, and she said it appears the cause of death for the cats was starvation or dehydration." All the live animals were impounded by Animal Control, and some required veterinary attention because of alleged malnutrition and neglect. On Thursday, the unpainted wooden house sat quietly off a secluded dirt driveway on Hewatt Road. A metal gate warned "no trespassing" and views of the house were largely obstructed by dense foliage. Authorities said Simmons lived there with her son, who was frequently out of town because he runs a tree service business, and another man who rented an upstairs room. An unidentified man who showed up at the house and unlocked the front gate with a key on Thursday afternoon said he was a friend of the family. 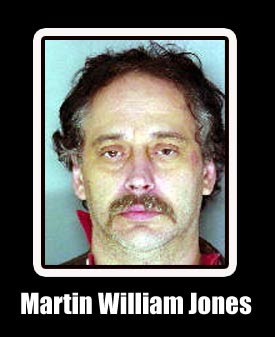 He claimed to be unaware of Simmons' arrest or the animals being kept on the property. When questioned by police Wednesday, Simmons reportedly denied that there were any dead animals. "She said, 'I'm taking care of the animals - they're all healthy, they're all good,'" Applebee said. She has since signed over ownership of most of the pets to Animal Control. Simmons' next-door neighbor, Leang Lim, who moved to Snellville a year ago from Cambodia, said she rarely saw her. "Nobody (goes) in the house. She closes the gate," Lim said as she peered curiously over the fence. "Yesterday police came with a lot of cars. I don't know what (happened)." Lim had never noticed a bad odor coming from next door or an abundance of animals. Applebee said police had been in contact with Simmons several times previously about her pets. About three years ago, neighbors complained about foul smells and Simmons agreed to step up her cleaning efforts.